November 30th. One last day of November and then it's DECEMBER DECEMBER DECEMBER! 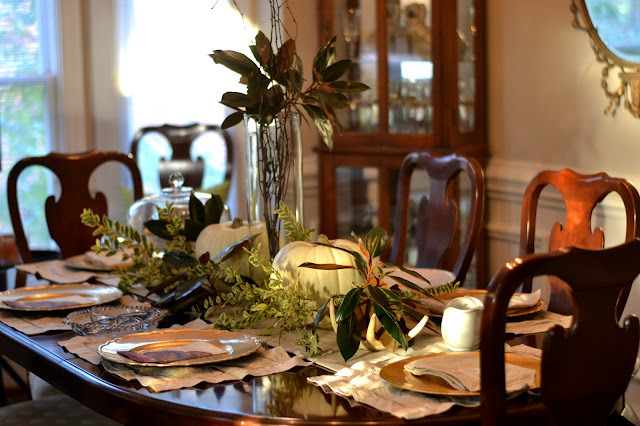 We used this past Sunday to start some preliminary holiday decorating, but of course there's still more to do. Sunday evening we pulled our tree down from the attic (artificial ... no shame) along with all of the ornaments. I made a cup of hot cocoa and poured a few sips of it into a paper cup and let it cool down for Camille. Her very first hot chocolate. 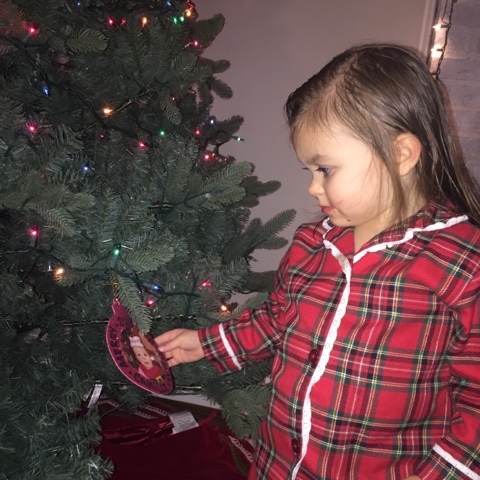 We told her she had a very special task to do; put the first ornament on the tree. I gave her a homemade ornament from when she was in daycare -- she was just around 6/7 months. After that she went to bed, Ian and I poured a glass of red wine and finished up the tree. My tree is unabashedly FABULOUS. Like, colored lights, feathers everywhere, frou-frou fabulous. It's not a stale, white-lights, all silver ball ornaments tree, oh no no no. Poor Ian. I came downstairs last night with some feather garland that I found and he said dryly "OH YEAH I was just thinking our tree needed more stuff on it" ... haha! He secretly loves it. I know it. OOOH! Garland question for you. 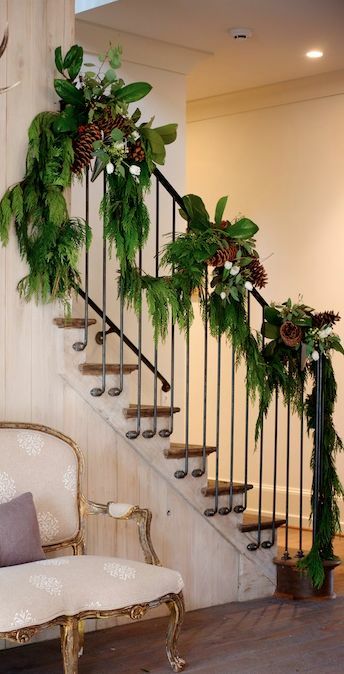 Does anyone use fresh garland on their staircase? Does it shed like crazy? Or not too bad? Let me know. 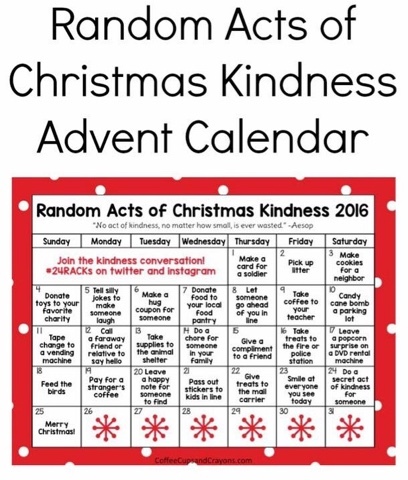 Lastly, someone posted this image on a moms Facebook group I'm in and I took a screenshot of it, because I want to do this with the girls! It's from the blog Coffee Cups and Crayons. Put that sticky somewhere you'll see it like at your coffeemaker or on your car dashboard. AND I'm asking you to write down four that you can commit to in the comments section. I think it will be interesting to see everyones' committments, and it will hold us all accountable! Four dimes and a penny. That's what I spent at Old Navy today! Okay, so I *did* have $50 in credit to spend that was set to expire soon (thanks to owning the BR credit card), but I originally had around $100+ worth of items in my cart, then got the 50% off for Cyber Monday, and then ended up with a grand total after discounts of $0.41. I typically wear a 7.5 but sized up to an 8 after reading the reviews. Ended up getting these for around $13.50. Got these for just under $10! My old slippers have bitten the dust. Sized up 1/2 size to an 8 per the reviews. Enter code COZY at checkout and they will send you a pair of fuzzy socks, YES even on top of all of the other discounts you got! I got a 3T so it will have room to grow. ALSO got it for less than $10! Snagged this one in 6-12 months size. For $20, I have adorable matching dresses for the girls! Can I get this in my size? 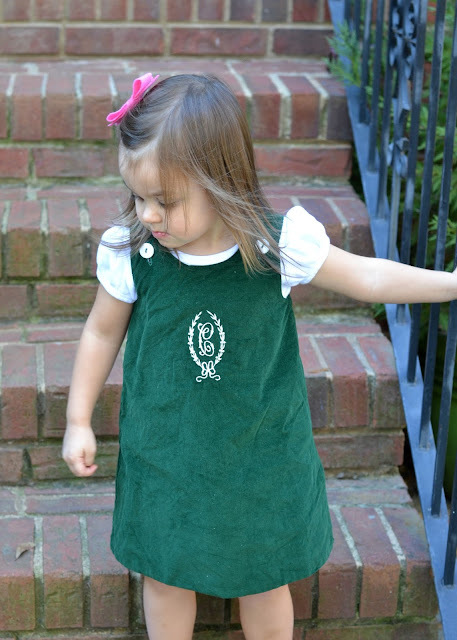 This is so chic but cozy and casual enough for preschool. Camille's going to go NUTS over the pockets. Also got this one in 3T so it can be a little oversized this year and fit again next year. $7.50 and it also comes in gray, blue and pink. Alright, that's what I scored! And on top of that, I got free shipping and $40 in Super Cash that I can spend on my next purchase. You have a few hours left to take advantage of their HUGE sale. Once again, here are my purchases. Happy shopping! Two luxuries: marble and gold. 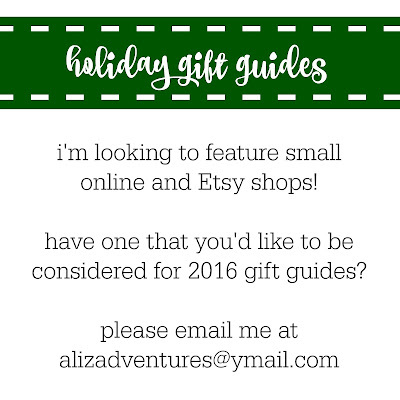 Here is a fun gift guide I put together that feature these two splurges, but at a fraction of the price! Everything is less than $50. Companies are slashing prices for Black Friday/Shop Small Saturday/Cyber Monday and we all may as well take advantage of it! So here you go, the creme da la creme at a steal. Marble and gold, yes please! I'm shopping small this Saturday, are you? 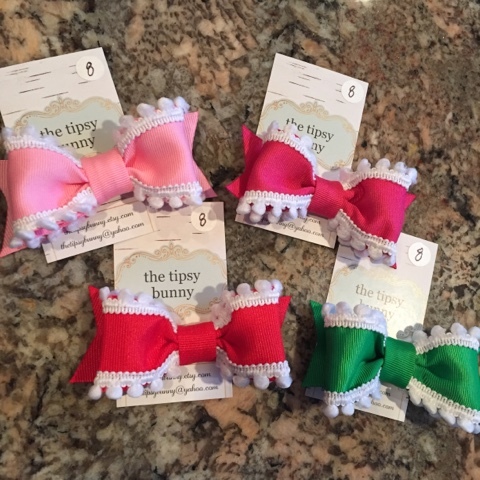 First of all, now that most of our trunk shows are over, I'm happy to say that our The Tipsy Bunny shop on Etsy is back in business! 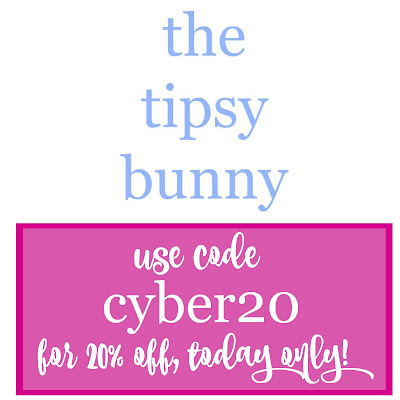 click the logo to shop! And while you are shopping on Etsy, be sure to check out some of these other awesome finds. Etsy is so full of great items but can sometimes be overwhelming to navigate. I hope that you enjoy seeing some of my favorites at a glance! I mean, the s'mores soap ... can you even handle it?! 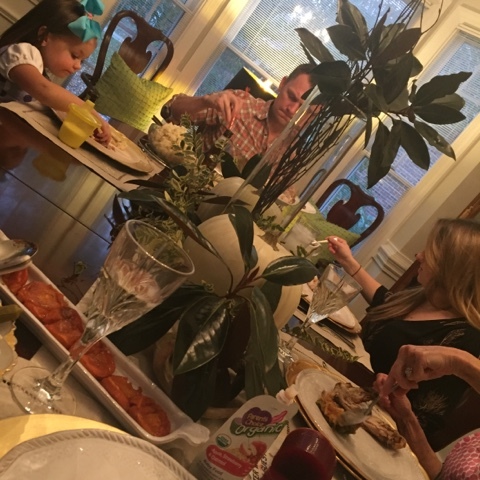 First Thanksgiving hosted at our new home? Check, check, check. It went great! Total success. 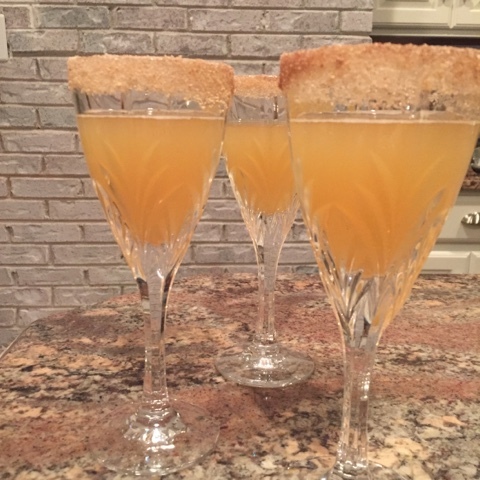 Wednesday night, we made the sparkling apple pie cocktails that I blogged about recently. Recipe can be found HERE and they were delicious. We used Fireball in lieu of cinnamon schnapps. If you know my mom, you know she always has a bottle of Fireball lying around. The recipe does call for honey granules which is a bit obscure, but you can order them with free shipping here and they are not expensive (creative stocking stuffer idea, too!). Plus, you can stir them into hot tea, oatmeal, etc. - tons of uses. Thanksgiving morning we had homemade bacon, red onion and cheddar quiche with a cheese danish and orange slices. We planned to eat around 4:30 so went with some "nackies" (snacks/appetizers) for lunch. 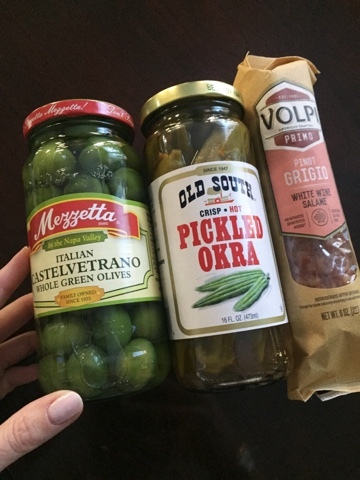 A few different cheeses and meats with olives and pickled okra. 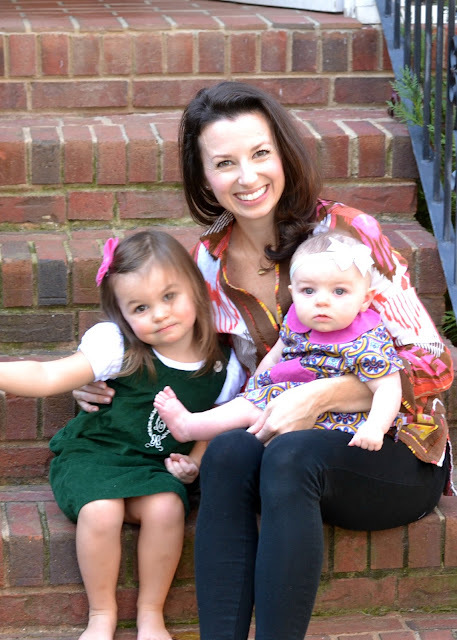 The weather was so perfect and Ian was doing some work outside on a little reading bench we're making for the girls -- so we all spent some nice time outdoors and Ian snapped this picture of me, Char and Camille! Camille wore this adorable jumper that was a pass-down from a friend of mine. And Charry wore this sweet corduroy dress that Mom made Camille a few years ago. ... PERFECTLY! So easy and delicious. I was proud of how the table turned out! I used my two faux white pumpkins from Halloween, some deer antlers, a tall glass vase, and tons of greenery from the backyard. 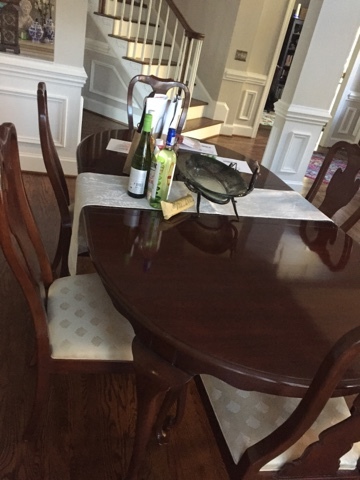 The only new thing I bought for our table was a set of new cloth napkins. Ours had seen better days. These embroidered ones from Mud Pie looked so awesome on our table. Camille sang a blessing before the meal which was beyond cute. We had turkey, gravy, mashed potatoes, sweet potatoes, green bean casserole, fresh and canned cranberry sauces, deviled eggs, and pecan and pumpkin pies. For four adults. 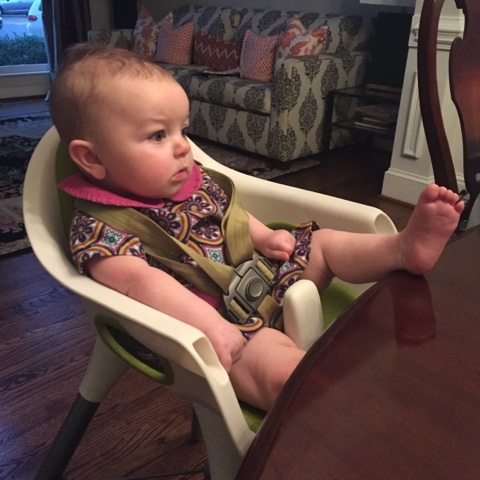 Charlotte had baby food and then kicked back and relaxed. Once the girls went to bed and we got the kitchen clean, we looked at each other and were like ... IT'S 8PM. WHAT DO WE DO. Ian asked if we wanted to watch a movie, a Christmas movie, since turkey day was for the most part over. YASSSS. One of his favorites is The Family Man, a movie I hadn't seen until three years ago or so. Y'all, it is so good. It's sort of like a modern day It's A Wonderful Life. Sort of makes you question what life would be like if you had made a certain choice over another. Truly a feel-good movie, AND if you are in the season of life like we are where you have wild kids, a messy suburbia house, and not too much time in the day to even brush your teeth, it really is a wonderful movie to watch. And where is Tea Leoni now? Because she is the cutest darn thing and I love her haircut in the movie. On the agenda today ... more cleaning up (of course), a trip to the shooting range for Ian, my Dad comes to town to hang out with us all, and ... dum dum dum ... starting to decorate for Christmas! My first ever blog post was 11/18/2010, just over six years ago! Blogging has changed a good bit over the years, right? You know this if you've been reading them for a while. My favorite blogs to read were Kappa Prep, Pretty In Pink Megan, The Company She Keeps, Pink Sass, Quite Contrary Mary, gosh there were so many that I would get so much joy out of logging in to each day. So, since six years is a mighty long time, and some of you may be newer here, allow me to reintroduce myself! My name is April (yep, not Liz). Why A. Liz Adventures? I used to make jewelry (and sold it on Etsy) and my shop name was A. Liz Designs. My blog's initial intent, well a lot of it, was to drive traffic to my Etsy shop, so the blog name was a spin-off of the shop name. I don't make jewelry any longer, I leave that to my sister! In fact, I think a lot about changing my blog name. Something less confusing, something a little simpler. But UGH it just seems like such a tedious pain. When you've had the same blog name for six years, is it just stuck? My life in three sentences ... I live in North Carolina, have been married to Ian for five years, and we have two little girls under 2.5. I love crafts, making money, being a frivolous shopper, eating pie, and girls nights. The way to my heart is to ask to see iPhone photos of my daughters as you hand me a glass of New Zealand sauvignon blanc. Why I think people read my blog ... Because I'm a naturally cheery person but I'm also uber realistic. I'm not going to show you a photo of a beautifully decorated holiday home without pointing out which items I got at Dollar Tree. Why pretend? So, thank you for sticking with me, whether you've read for a month, a year, or all six years. I absolutely love blogging and it brings me a lot of joy to connect with readers. For those of you who've come up to me and introduced yourselves, or written me a personal email, those are always the highlights of my day! 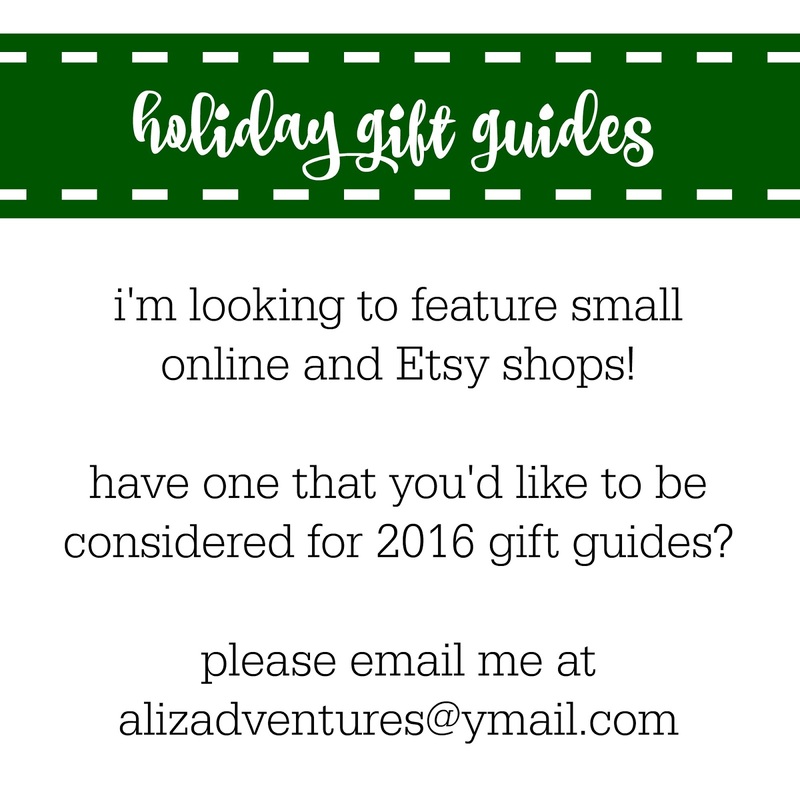 Recently, I asked some of you to let me know if you have Etsy shops that I could include in upcoming gift guides. 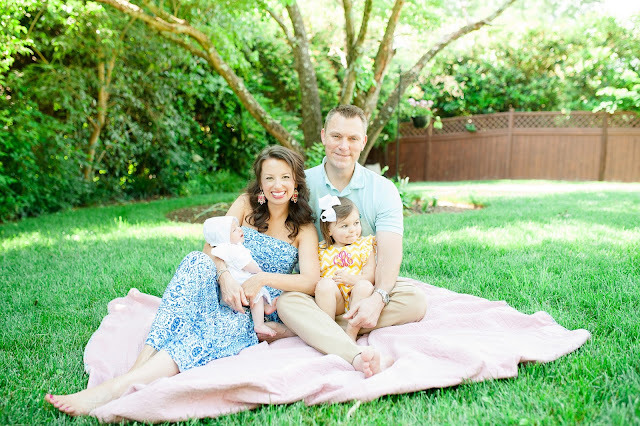 I received so many emails from my blog readers and wanted to start introducing you to each other! I know my friends and I love shopping from independent shop owners when we can, and this Saturday is Shop Small Saturday. I imagine it would completely make these shop owners' days if you would consider them while doing your holiday shopping. One sale might not mean anything to Amazon, Nordstrom, or Target, but it could mean the world to these ladies. Just imagine their happiness this holiday when they hear a ding on their phone only to look down and see that they made a sale! I love her handmade wreaths -- especially this festive Christmas one. Camille saw it and wants me to buy it! Because who doesn't need a Yes Way Rose stemless wineglass?! She has so many other awesome items in her shop. She is committed to using locally sourced materials for her jewelry. Love. And I can't resist a chunky bracelet! If you have a big camera, you NEED a pretty camera strap! She has so many pretty designs. 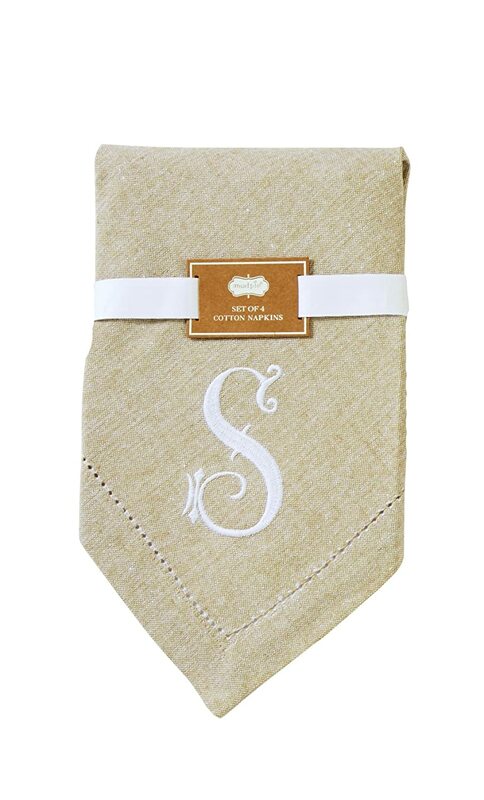 I love this monogram acrylic tray and it's completely customizable. This is the kind of personalized gift that someone could use anywhere -- kitchen, bathroom vanity, bedside table! Happy shopping, ladies, and thanks for supporting each other! 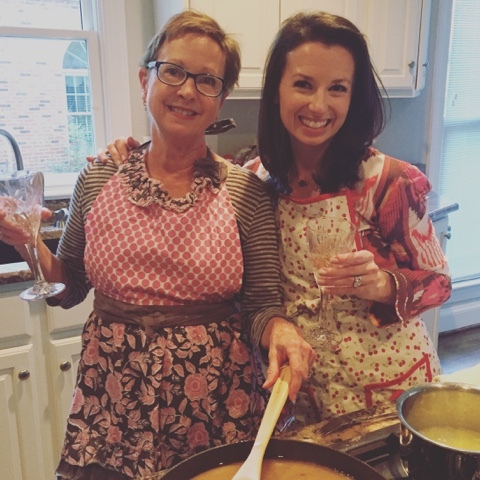 We have my middle sister and mom traveling in for Thanksgiving this year. Dad will be with his brothers down in ATL and Laura and her family will be with the in-laws. I'm hosting Thanksgiving for the first time ever. 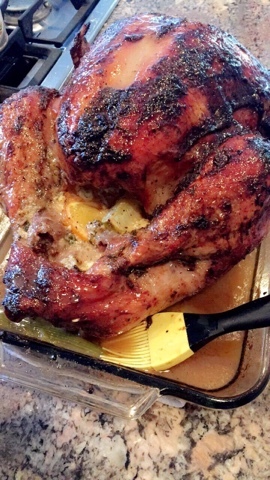 I mean, I've cooked T-giving turkey for just me and Ian before, but never for family members. So ... let's talk prep. 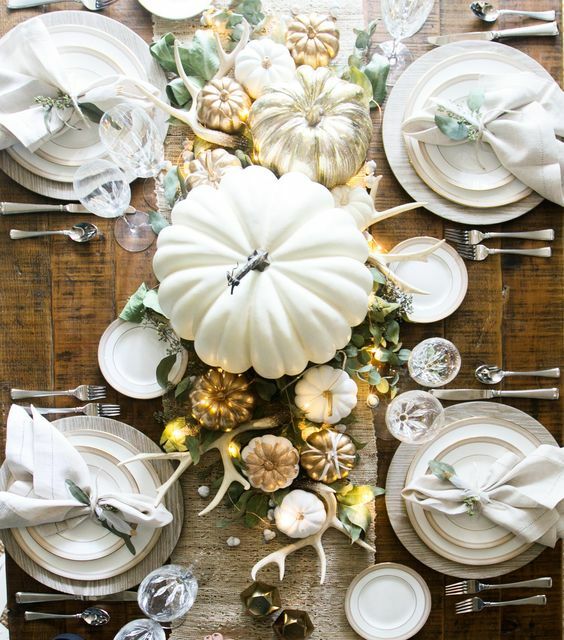 I've got a long way to go, but I DO already own a faux white pumpkin and some antlers, and you better believe I'll be snipping some greenery from my backyard! Time to do some magic! I went to World Market while the girls were napping yesterday and picked up a few items. 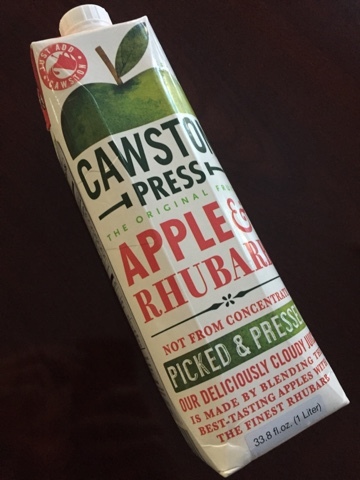 This pressed apple and rhubarb juice was just over $2 on sale and will be so yummy splashed into some bubbly. 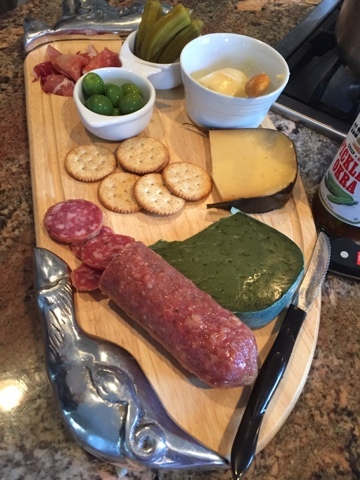 For a cheese platter, I picked up some Castelvetrano olives (my favorite), pickled okra, and salami. I'll grab a few cheeses from Trader Joes. I don't love the ones at World Market. 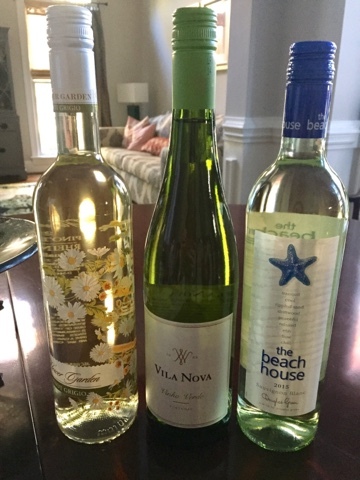 Wines were 20% off if you buy 4 or more (the fourth is in my fridge already!). All of these were in the $6-8 range so not expensive at ALL. All are from the New Zealand area ... my favorite type of white. 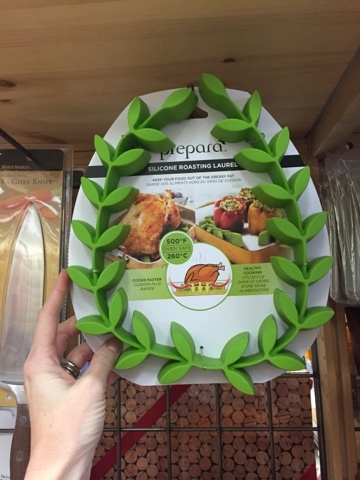 And I also spotted this adorable laurel wreath turkey roaster, but a quick Amazon search on my phone, and you can get it HERE (same exact brand) for more than $5 less and with free shipping. Done. So now I just have to buy the turkey and sides, pick up some fresh flowers for the kitchen and guest room, and get Ian working on a dinner playlist! Also ... pumpkin or pecan!? We are here in Greenville, SC and today is day two of Swoon Sip & Shop. I met some wonderful ladies last night and also saw some friends. 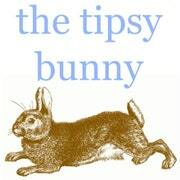 I'm going to be posting some items for sale today on our IG page ... @thetipsybunny. Several people are interested in the felt advent calendars! This past week, Camille turned two and a half! I can't believe how quickly time is flying. Charlotte also turned seven months old (on the same day). I'll post some updates soon. Camille is as much of a spitfire as always, and Char is just as easygoing and happy as always. Two very different personalities, both compliment our family perfectly! 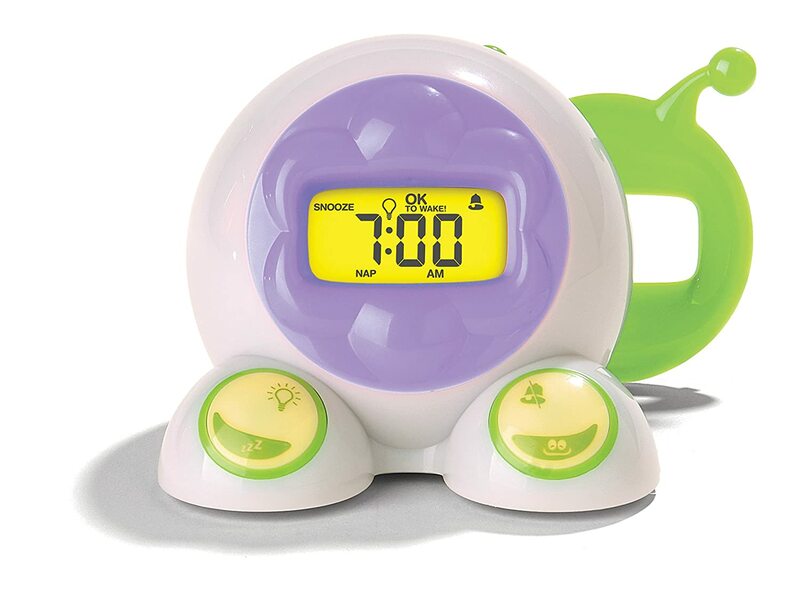 Let's talk OK to wake clocks. I ordered this one on Amazon and it gets delivered tomorrow (praise hands). It was not the cheapest, but Ian did remind me that we can use it for both girls, and if it helps Camille to learn about quiet time, then it's worth it. The time change still has her thrown off. I also think it will be super helpful when she transitions from crib to bed. Fingers crossed! 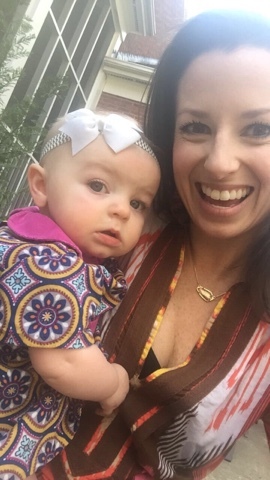 I have loved hearing from all of you who love Grove Collaborative like I do! Remember for all of you new customers, you get the below freebie with a $20 purchase between now and November 21. 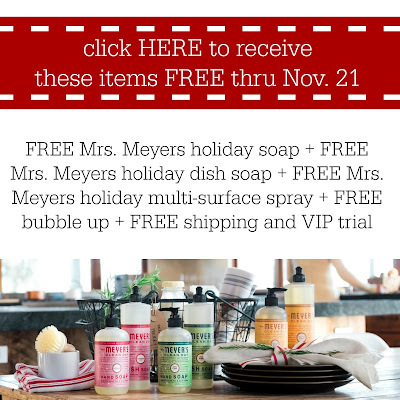 If you order two jugs of laundry detergent, which you know you'll use, you get everything else below free! Can't beat it. I posted a few snaps the other day and had a lot of people asking me about my sunglasses. They're not Wayfarers but they look similar! 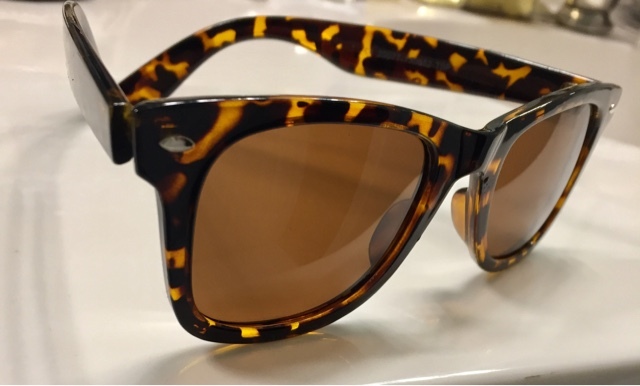 They are from Target, they are polarized, and they are $19.99. Total score.